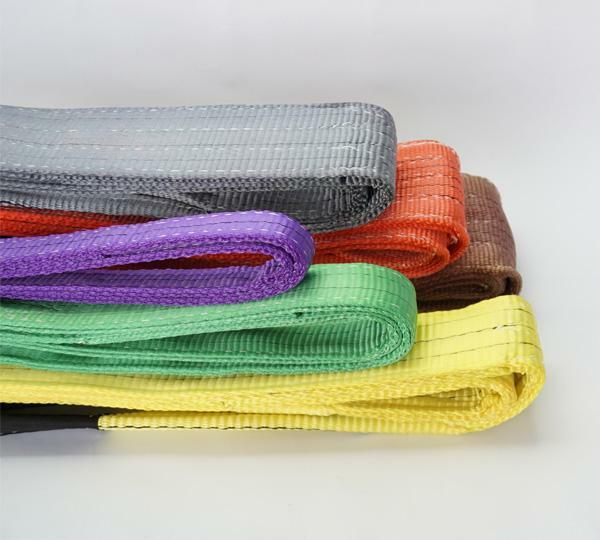 Color, in according with international standard, to validate sling capacity. Special thickness sleeves and special technical to add using life. 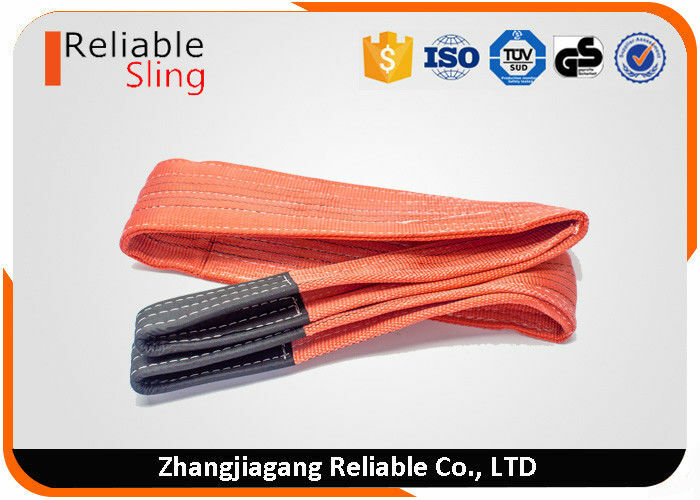 Each strips equal to 1ton capacity, it is easy to differentiate sling capacity. Clearly print WLL and length on surface of sling. Change-bearing point to add using life. If the core material no break, no loss of strength from abrasion, there is a simple ness way, it is easy to differentiate to decide if the sling is taken away from service or not. 100% polyester has less than 3% extension at rated capacity, and will return originally length, and 9-12% extension at break. Clearly tag with serial number and a copy of certificate together with one sling. Working temperature range: -40 -100.